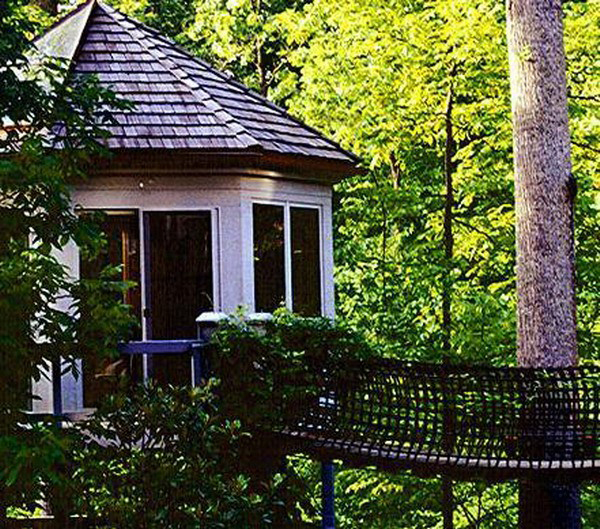 Have you ever wondered how much a treehouse could cost? But let’s see which are the most 10 expensive treehouses in the world according to a research by The Richest. A sort of Japanese paper lantern with a spherical shape. It gives a magical atmosphere in the night when the treehouse will glow between the trees. It has been used sustainable materials t build the sphere and steel cable to suspended. Built on a hue, hollowed out, recycled log, this treehouse has been built for kids. Full of small details that make this treehouse unique. 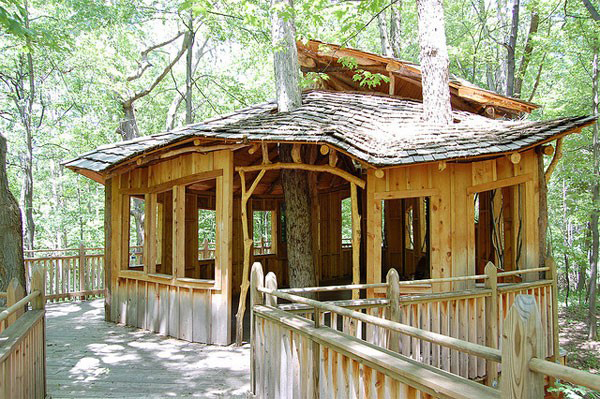 Moreover the facade and the stylistic choices give to the treehouse a fairy tail’s aspect. A meditation room hanged and surrounded by the trees on 10,5 feet from the ground. 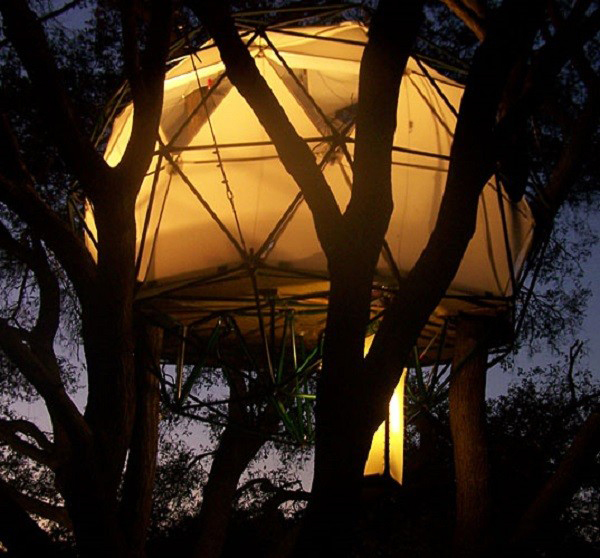 This treehouse is made of fiberglass and this could justify the cost of this wonderful treehouse. This treehouse designed by the Dutch designer Drè Wapenaar was also gifted by the football player David Beckham to his sons! This treehouse in Fife, Scotland has a curious story. As The Richest explains this treehouse “resulted due to death by lightning. A Luxury estate owner in that region was unhappy when lightning struck their very old cedar tree. But instead of getting it cut down they called over the Treehouse Co. to spell their magic. 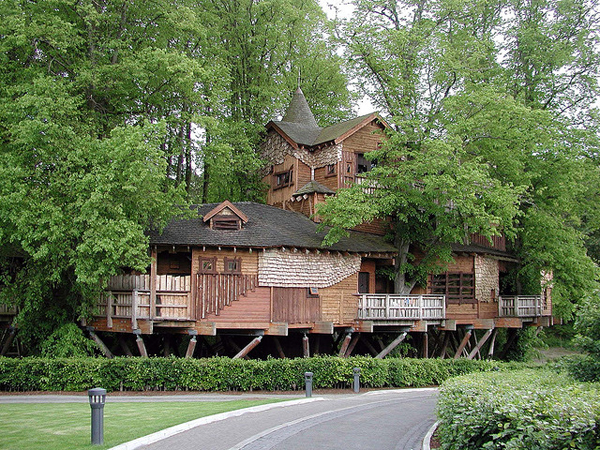 The result was a retro-looking tree house which looks like it just came out of a fairy tale book. 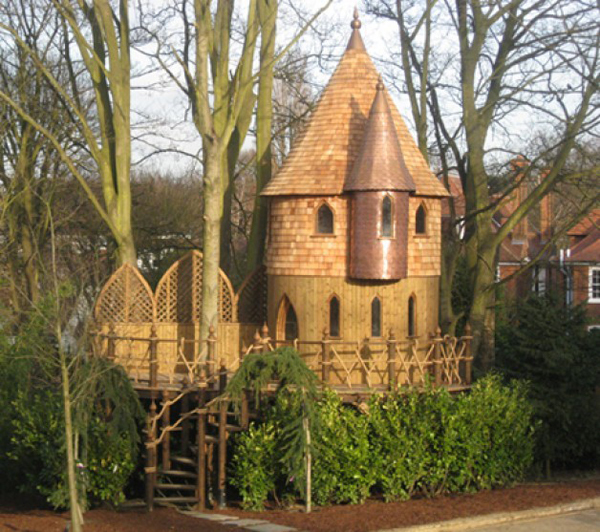 This 45-foot Cedar Spire has a copper turret and cedar shingles which make it look beautiful“. A treehouse that seems a real house in Mc Lean, in Virginia. A full comfort treehouse with internet, electricity, fireplace and sound system on a surface of 16 square feet. Moreover, to increase the interesting of this treehouse, to enter the house people have to cross a rope bridge! 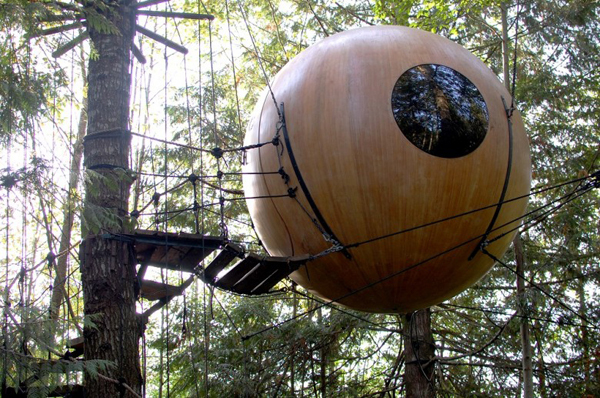 Maybe one of the most famous and modern treehouse in the world. 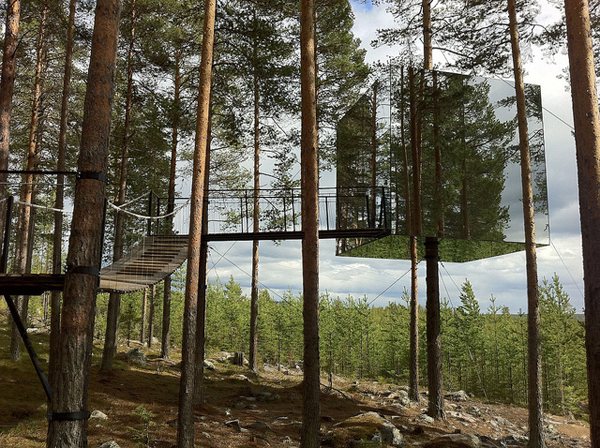 You can sleep in it in Sweden at the Treehotel! 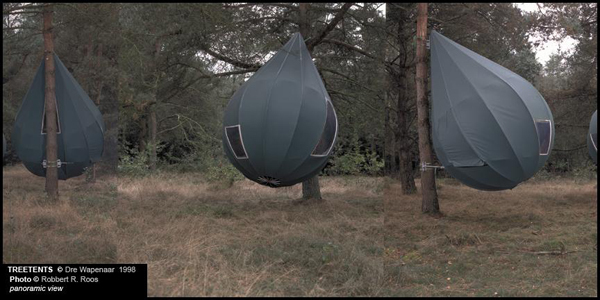 From the picture, I think that this treehouse could be one designed by David Rasmussen. The Richest just reports that “these tree houses have been made particularly for children who are handicapped or physically challenged, or physically not as strong as others. Everybody’s Treehouse is even accessible for those who are wheelchair-bound. 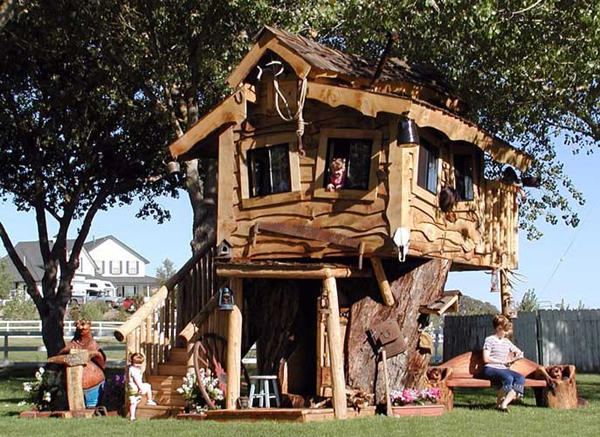 Even then the tree house will ensure its visitors have lots of fun. The walkway or the ramp has a network of trees to add to the adventure“. At the moment, and in my opinion, luckily, is at the moment just a project and still not realized. 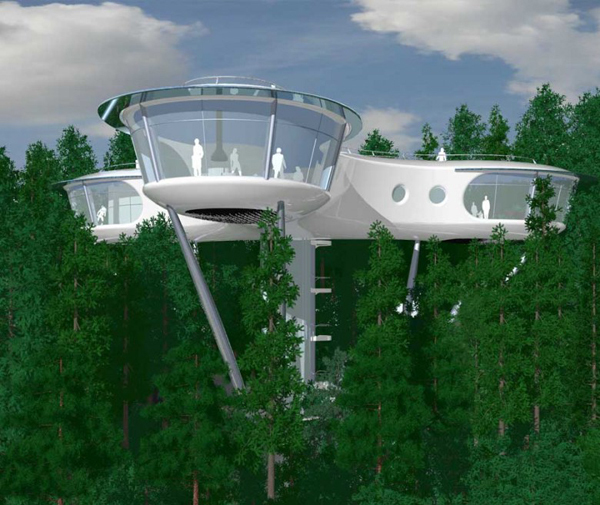 Moreover, from the render it’s not a treehouse, but maybe in the future they will build it on the trees. Anyway it has been planned to build this house using the 70% of recycled materials and can host up to 8 people. If the second treehouse most expensive of the world costs 1.9 million of dollars, how much could be the most expensive one? Yes, the most expensive one is in Scotland, where the Duke and Duchess asked The Treehouse Co. to design and build this big Treehouse. The Alnwick Garden is a restaurant with 120 seats, a retail store and two personal dining rooms. Moreover it has two classrooms where is it possible watch plays and movies. 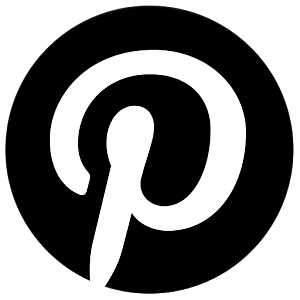 All this on a surface of 6.000 square feet!